This small-group Segway tour lets you see all of Rome's most celebrated attractions in a single morning without even breaking a sweat. Explore the city's magnificent ruins, monuments, and alleyways, stopping at various locations for photos and informative multimedia facts delivered via iPod. Meet your group near the Colosseum and, after a training session to help you get your bearings, begin your 2-wheeled journey through the heart of Rome's historic centre. See the Imperial Forum before making your way to the Piazza del Campidoglio, which was designed by the great Michelangelo. Glide towards Campo de' Fiori, a rectangular square known for its daily farmer's market and night-life. Then, at nearby Piazza Navona, take in sights of Bernini's Fountain of the Four Rivers, relishing in the electric atmosphere created by the square's regular street performers. A true highlight of your experience is a visit to the Pantheon, one of Rome’s best- preserved ancient temples. The structure is now a consecrated basilica with a stunning 142-foot (43-metre) dome. Next, toss a coin into the Trevi Fountain and make a wish to return to Rome someday before your tour comes to an end at the foot of the Spanish Steps. Head back to the meeting point having seen the best of Rome without exerting too much energy. You must weigh at least 7 stone 2 pounds (45 kg). You must weigh less than 17 stone 12 pounds (115 kg). Eddie is The Man! There were 6 in our group from 16 to 71 and everyone had a great time. Eddie had great stories and information about each location we visited. 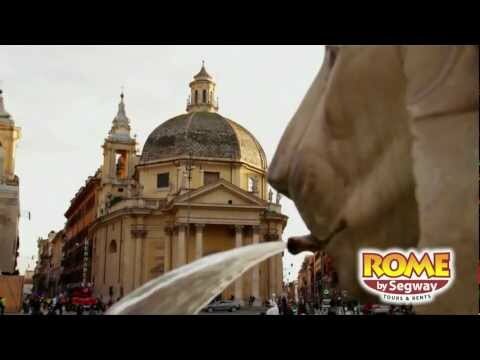 The Best of Rome Segway adventure is the best! Go with Eddie! This was such an awesome way to see Rome and Dmitri our guide was brilliant! All on the tour agreed we could not have had a better tour of Rome - saw so much, learned so much and all in a relaxing yet fun way!! 100% recommended - it's a must!! Eddy was an awesome guide!